WINSTON-SALEM, N.C. – Tournament officials have recruited Alexandr Dolgopolov and Juan Monaco to compete in next month’s Winston-Salem Open. The tournament will be held August 22-29 at the Wake Forest Tennis Complex adjacent to BB&T Field. Dolgopolov will be making his fourth appearance in Winston-Salem after skipping last year’s tournament. 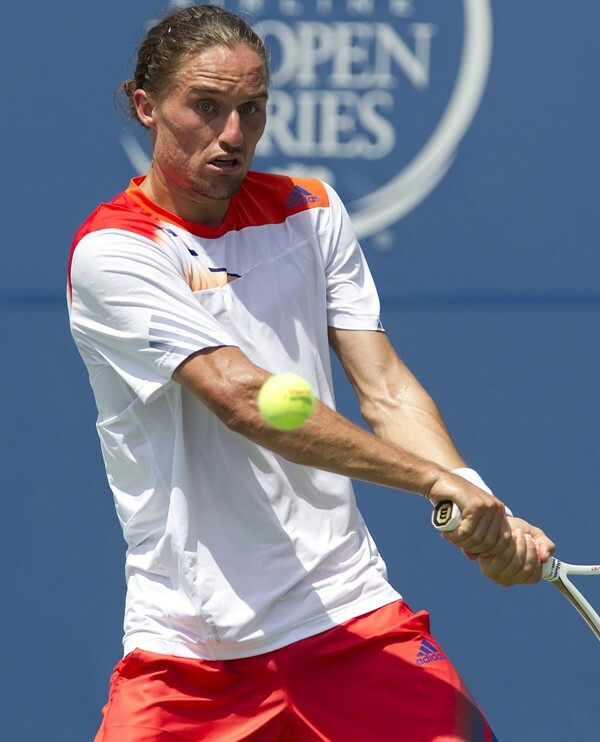 In three runs at the Winston-Salem Open, Dolgopolov has never fallen short of the quarterfinals, reaching the final eight in 2011 and 2012 as the No. 3 and No. 4 seed, respectively. In 2013, Dolgopolov broke through to make an appearance in the semifinals, but he was ousted by eventual runner-up Gael Monfils. Dolgopolov’s best career ranking came during the 2012 campaign, when he was No. 13 in the world. On the pro circuit since 2006, Dolgopolov has two championships to his name, winning in 2011 at Umag and in 2012 at Washington. Monaco is set to make his third appearance at the Winston-Salem Open after competing in the inaugural 2011 tournament and the 2013 edition. At his first Winston-Salem Open, Monaco, the No. 7-seed, reached the quarterfinals before falling to top-seeded American Andy Roddick. In 2013 as the No. 8-seed, Monaco advanced to the Round of 16 before falling to 10th-seeded Dolgopolov. Currently ranked No. 35 in the world, Monaco is expected to jump into the ATP top 30 after reaching the Round of 64 at Wimbledon last week. At age 31, Monaco’s highest career ranking was No. 10, which was accomplished back in 2012. With eight titles to his name, his most successful year came in 2012 – like Dolgopolov – when he won four at Kuala Lumpur, Hamburg, Houston and Vina del Mar. His most recent championship came at Dusseldorf in 2013. Of his eight titles, seven have come on clay courts. Box seats and individual tickets to the Winston-Salem Open are available online at winstonsalemopen.com, by calling (336) 758-6409 or in person at the Wake Forest ticket office located at Bridger Field House at BB&T Field. Tickets to the tournament are on sale now, beginning at just $5 and ranging up to $49 for the championship on August 29.